The clear brochure holder can fully display your leaflet or pamphlet . 2 Tiers to assort different brochures. 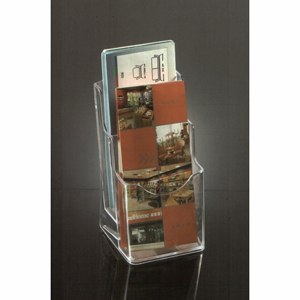 Holds standard TRIFOLD (Maximun 103mm/ 4" width) paper.